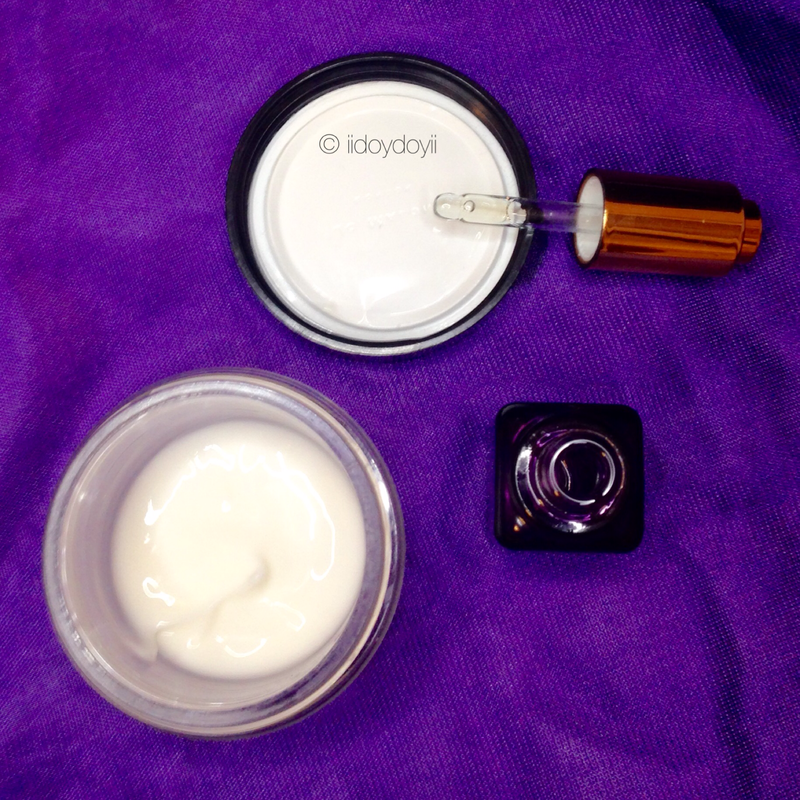 The two products shown today are a body cream and an oil. Because my skin feels drier, adding an oil to my body lotion or cream allows for more hydration. Also, the combination makes it feel that more luxurious on the skin. This is the lotion combo that I use at nighttime before I go to bed. The scent just makes me fall asleep faster. This body cream came in a gift set that also included the famous Jo Malone cologne and liquid hand and body soap. I first started out with the English Pear & Freesia cologne and it was my scent for a straight month. I won’t go into details of what it smells like but it is perfect mix of fruity and floral. Here is My Jo Malone Collection if you’re interested. 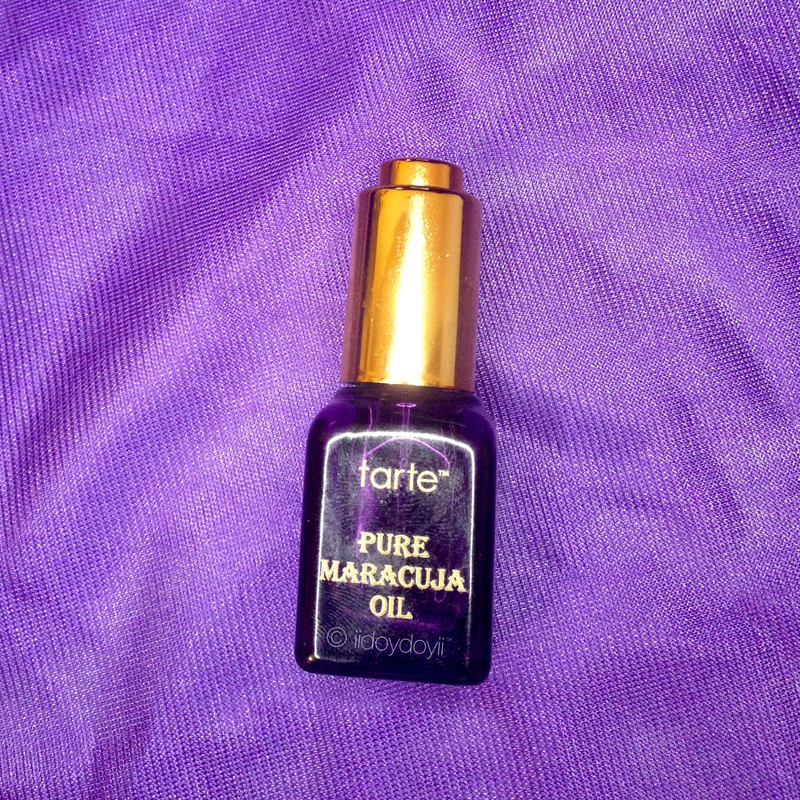 I know that most people use Maracuja Oil as a skincare product. I am always hesitant when it comes to oils and putting it on my face. I haven’t had the best experience with those. So whenever I get face oils like this, I tend to use it elsewhere, such as my body or hair. This oil really does build up the lotion to become more moisturizing while not altering the great scent of the body cream. Just what I need! Thank you! I’m starting to see how Tarte is an awesome brand. Are you in the UK? Ah…now you make me feel really jealous! These brands are very difficult to retrieve here…and I can’t wait to try Tarte. Let’s hope they’re reading us, so that shipping to Italy will become reality. Yes! I hope they’re reading our blogs and that they ship to Italy! I hope you can try Tarte soon, I’m learning that they are a great brand with every product I try from them, especially their Amazonian clay blushes. They are the most long lasting blushes on my skin. The maracuja oil is great for wintertime. I am literally doing this tonight! I have that exact same scent of Body Cream from Jo Malone and I love it but it is not the most hyrdating. What a genius hack!! Thank you! Seriously. It’s an awesome scent, probably my favorite. But it is not as hydrating as I’d want it to be, especially for the wintertime. Let me know how it goes for you! Thank you! Good luck with starting your blog. I followed. I look forward to reading your posts!